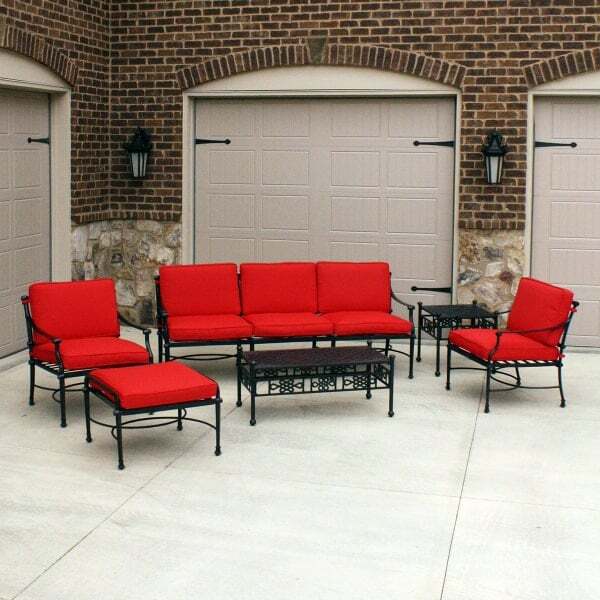 The Very Best Cast Aluminum Patio Furniture - Make A Bold Statement on Your Patio! 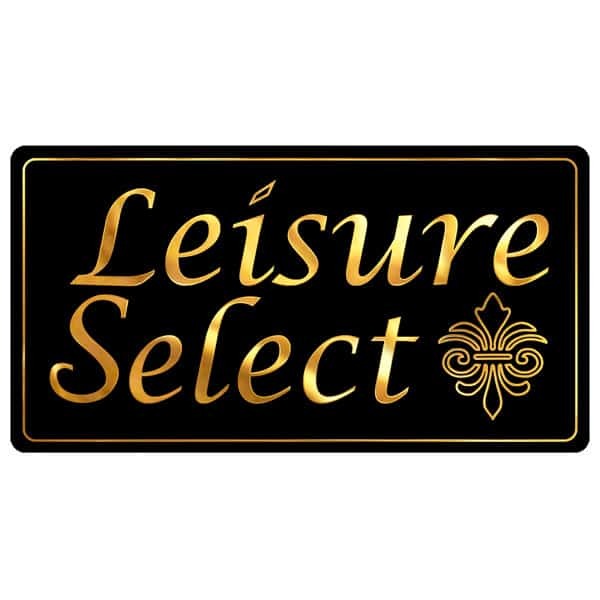 The Salina Deep Seating Collection by Leisure Select effectively mixes old European style with contemporary designs and materials. 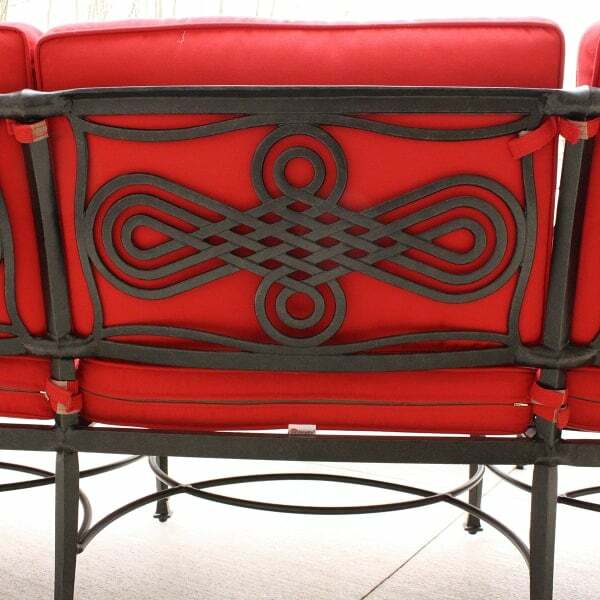 The pattern in the backrest is a modern spin on classic decorative motifs found in the antique wrought iron garden furniture originally found in parks and cemeteries during the 1800's. But please don't let the old world look of the frames fool you. 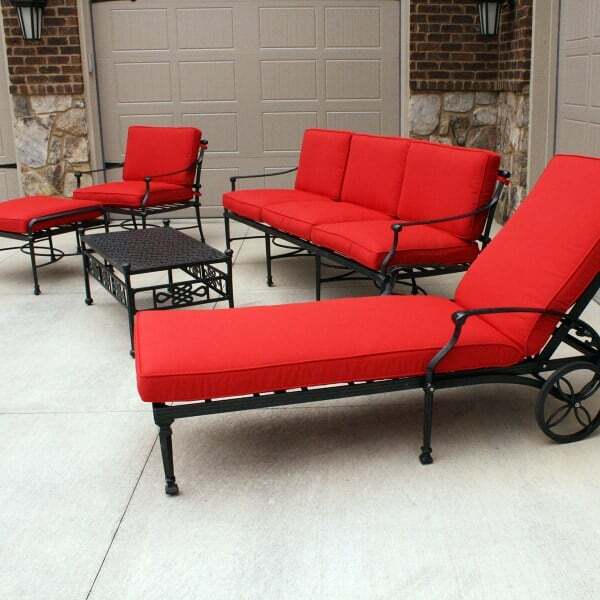 This outdoor furniture is made from cast aluminum that's powder coated in a finishing process that adds layers of protection. So while the multi-toned Raven surface is beautiful, it's designed to last outdoors exposed to the elements for years and years. This allows Leisure Select to cover the finish under a three year warranty. Named after the island of Salina located in the Tyrrhenian Sea north of Sicily, this set showcases glamor and panache rarely found outside of Europe. 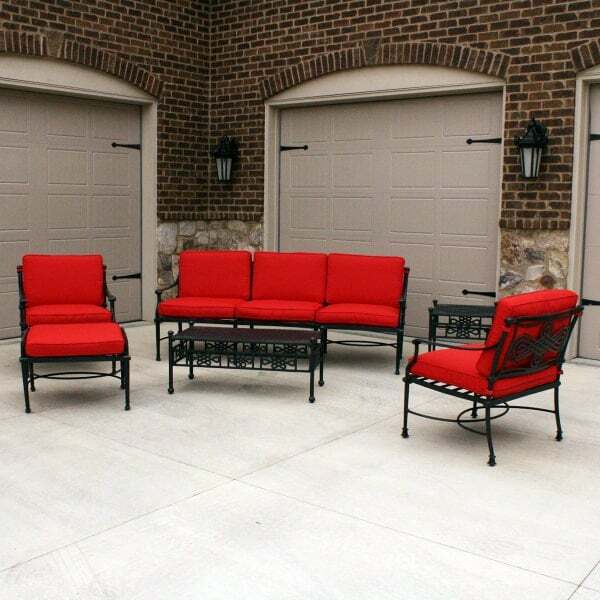 Paired perfectly with the stylish Sunbrella Jockey Red cushions for a bold statement, bring home chic taste and elegance with the Salina Deep Seating Collection from Leisure Select!